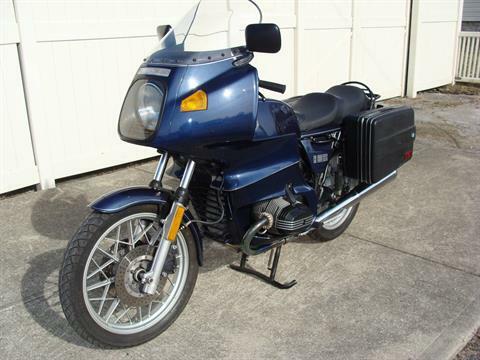 1984 R80RS, Dark Blue Metallic #6173585 Koni's, Corbin, accessory Sidestand, Krauser Saddlebags. Fresh 10K Service. Some of you may remember this bike from a number of years ago. The guy who bought it really liked it, and REALLY detailed it out nicely! He recently traded it back to us on a very low mileage R75/5 we had. So, you people out there that were kicking yourselves for missing out on it now have a second chance! This very clean R80RS started life as a R80RT, and it was converted to a RS when it was several years old. 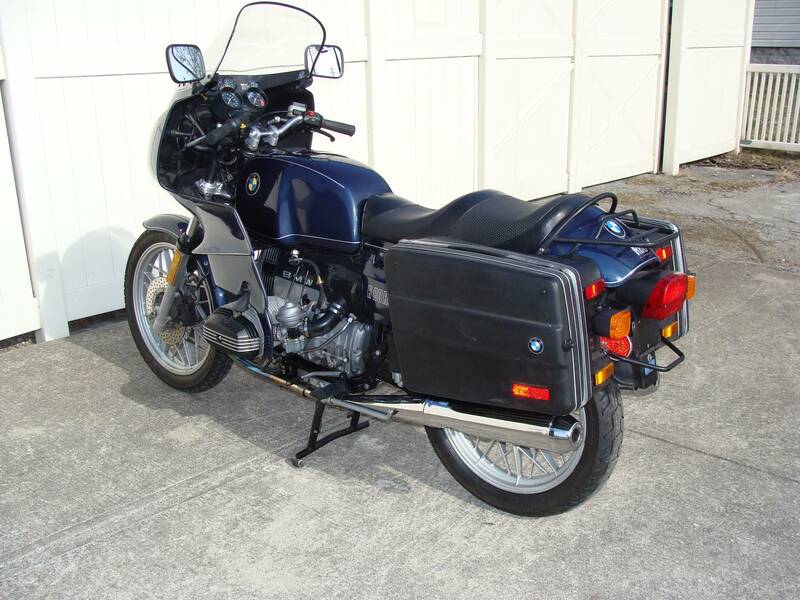 Original R80RS decals were obtained from Europe to make it “authentic”. Paint is in very good condition. Bike is clean and very well cared for. Metzeler tires are in good condition. Exhaust is very nice. An Owner’s manual is included. Mileage now is 57,404. We have just done a 10K Service, including changing all fluids and flushing the hydraulic brake system. Over the years, we have done a carburetor rebuild, and a cam chain and tensioner replacement so it runs really quietly now. We also replaced the fork seals and installed new fork boots in the RS fairing. The final drive has also been resealed. The bike is ready to ride for the season. Extras include Telefix fork brace and Koni shocks for improved ride and handling, as well as a Corbin Canyon Dual Sport seat with a factory optional “grab rail” rack. A pair of Krauser saddlebags are installed. A “Brown’s” type aftermarket sidestand has been installed, for easier deployment and slightly more lean when parked. The bike also has “S” handlebars, paired with handlebar setbacks, to give the rider a much easier reach for the handlebars. A +4” windshield has been installed, to work well with the slightly higher handlebars. There is a factory Owner’s Manual. 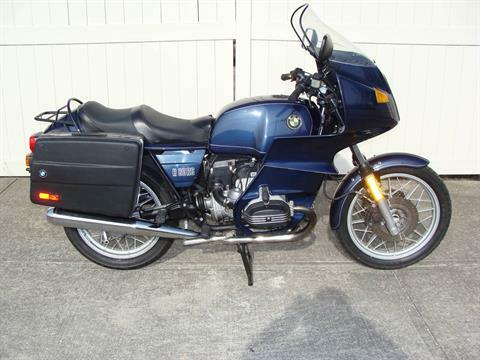 This bike would make an excellent daily commuter or a weekend tourer. The 800cc motor has plenty of power for two up riding or for pushing it hard through the twisties. If you would like to view this bike in more detail, we would be happy to email a series of high resolution photos of this bike to you, upon request.